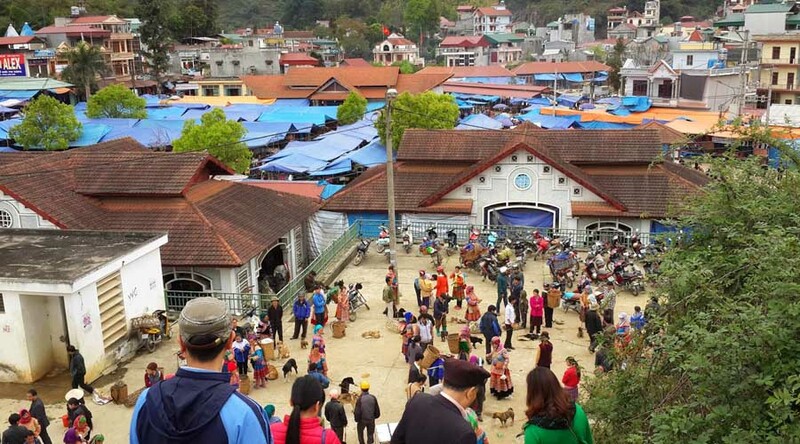 Bac Ha is a famous mountainous region market in the Northwest every Sunday. Bac Ha Market is not only the place for buying and selling, but also a place for sentiment and cultural exchanging. 6.45 – 7.15: Our Bus and tour guide will pick you up at the meeting point then depart to Sapa, following Noi Bai – Lao Cai highway. 16.00: Arrive in Lào Cai, you will get on the bus continue the journey to Hanoi. Along the way, once again you have a chance to enjoy the magical beauty of northwest mountains. Have a rest in 30 minutes on half way. 21.00: You arrive in Ha Noi. End of services – see you next time!